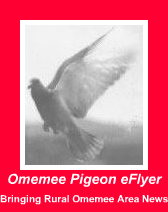 Omemee Pigeon eFlyer: Local OFAH Outdoors Show Wins Lifetime Achievement Award! Local OFAH Outdoors Show Wins Lifetime Achievement Award! Angler & Hunter Television Wins Lifetime Achievement Award! Since 1994, Angler & Hunter Television has actively promoted fishing and hunting across Canada. Viewers have enjoyed eighteen seasons of the fast-paced, high-energy, program while learning about the conservation of our natural resources.When Wild TV invited fans to vote on their favourite Outdoors TV shows,Angler & Hunter Television netted a Lifetime achievement award. Ontario Federation of Anglers and Hunters aka OFAH is recently announced its popular long running outdoors show, Angler & Hunter Television, was awarded Wild TV Hunting and Fishing Network's prestigious Lifetime Achievement Award. The honour, presented at the second annual Grizzly Awards, recently held in Edmonton, Alberta, is the second win for Angler & Hunter Television. Angler & Hunter Television, sponsored by: Mercury, Yamaha, Lund, Browning, Shimano and Winchester, brings key policy makers, industry leaders, anglers, hunters and outdoor enthusiasts of every kind into the living rooms of Canadians weekly. This is the second time Wild TV Network Grizzlies have been awarded to Angler and Hunter Television. In 2010, Angler & Hunter Television was voted Best Fishing Show by fans. With over 100,000 members, subscribers and supporters, and 670 member clubs, the OFAH is the province's largest non-profit fish and wildlife conservation-based organization, and the Voice of anglers and hunters. For more information, visit www.ahtv.com or www.ofah.org.